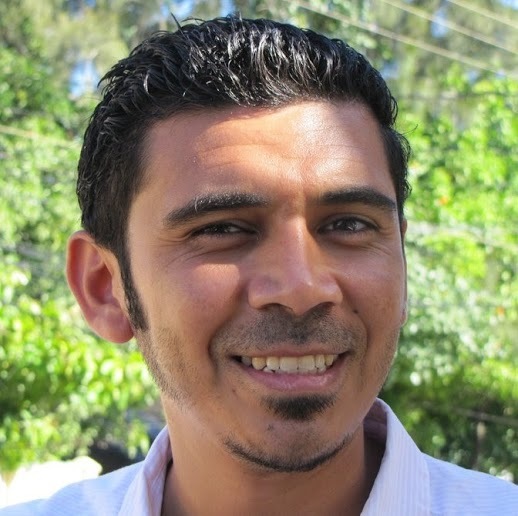 Investing in the island of Roatan is a sound business decision. Take a look at how much growth the island has experienced over the last ten years: cruise ships, international flights, and countless awards and notable mentions from international press outlets. There are many businesses for sale in Roatan right now, including these four that I think are incredible opportunities for the right people. If you think you might be that person for one of these Caribbean business opportunities, get in touch and let’s discuss. Located in the heart of bustling West End, The Beach House is a charming boutique beachfront hotel. An extensive private dock, a trendy on-site bar, restaurant, & ten unique suites all accent the astounding ocean views. 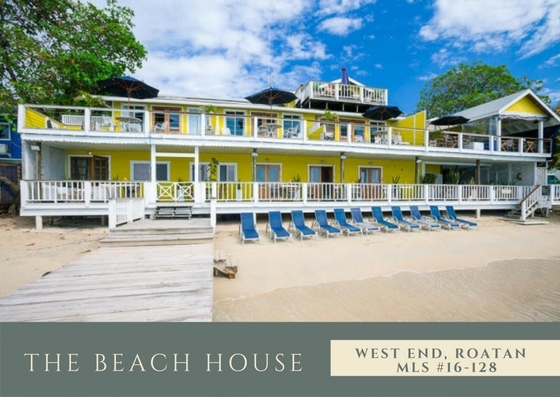 Recently renovated & elegantly decorated by the current owner, The Beach House offers an exceptional location with a promising future as Roatan’s tourism continues to grow. Tranquil Seas is a unique, award-winning beachfront eco-lodge located in Sandy Bay. Seven bungalow suites, all made of natural indigenous materials, are nestled amidst lush, tropical landscaping. Not only is this beautiful resort well equipped, it also has great potential for additional expansion. 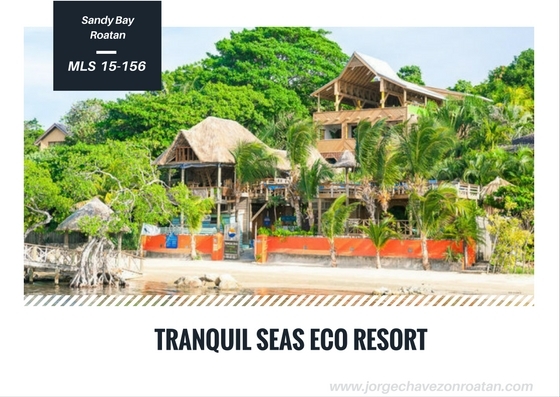 Tranquil Seas is the only ”registered” eco-lodge on Roatan and has been named the #1 hotel by TripAdviser for the last five years. 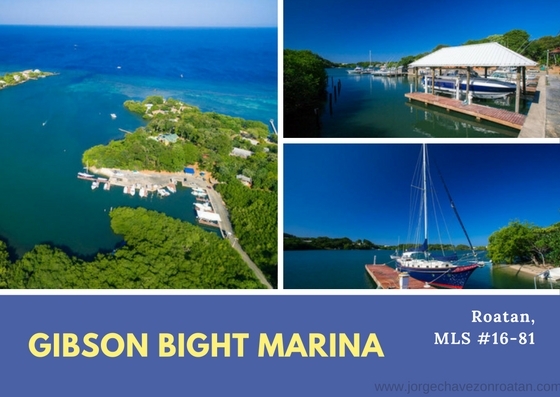 The Gibson Bight Marina is a full service marina on Roatan’s northern shore. This 5-acre property includes docks, pedestals, ramps, gates, and a guard house. The property is ideally located just 5 minutes away from West End and 15 minutes from Coxen Hole. Island Pearl Restaurant and Boutique Hotel is centrally located on Central America’s top rated beach: West Bay Beach. 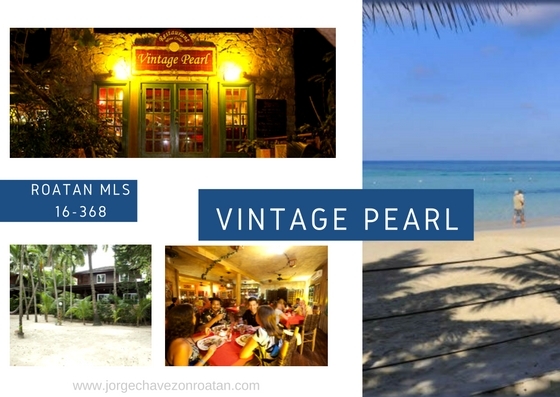 The Vintage Pearl is one of Roatan’s best restaurants, offering fine dining and an extensive wine selection. The restaurant comes fully equipped and is turnkey ready. There are also four guest villas on the property, all enjoying beachfront ocean views, plus an Owners Villa that sleeps 8-10, and a private studio unit. This resort also has plenty of room for expansion. Are you ready to take on one of these Roatan businesses for sale? Contact me for further insights to see if you might be the right fit to run any of these four successful ventures. Roatan is headed for more growth and more opportunity…now is the best time to get in!